Whether you have rustic fireplace mantels with intricate detailing and designs or more modern fireplace mantels with cleaner lines and more simplistic styling, you will need to keep your mantel clean. 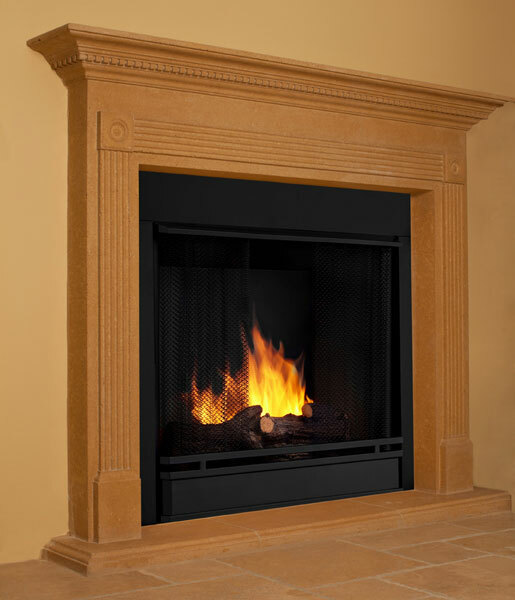 There are several procedures for cleaning that depend on the material used to construct your fireplace. Basic dusting should be performed frequently to prevent layers of dust from clinging to the mantel. This can be done with a duster that is designed to attract dust and debris. This allows dust to be transferred from the mantel to the duster fairly easily. It is best to avoid rubbing dust off of the mantel with a dry cloth as this may push dust into creases and crevices in the design or material itself. Mantels with smoother surfaces may be dusted with a cloth if necessary. At times, a more intense cleaning is necessary. Different mantel materials will require different cleaning methods. Smoother surfaces may be wiped with a gentle cleaning solution, such as dish washing liquid and water, and a soft cloth. Stains may be removed with a magic type cleaning eraser of a paste of baking soda allowed to remain overnight. Rougher textured mantels may require the use of a soft brush or sponge to scrub or soak up dirt and residue after the mantel is wiped down with a gentle cleaning solution or foaming bathroom cleaner if permitted. However, it is always best to follow provider’s recommendations on how to clean your fireplace mantel and what products to use.